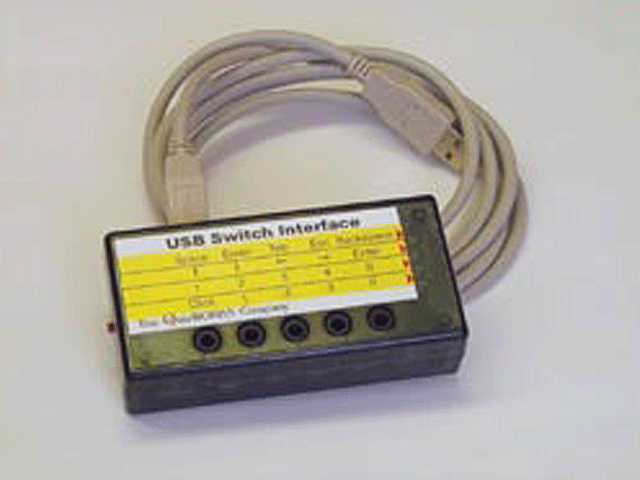 Use this interface to connect switches to a PC or Mac computer with USB. It works with any switch accessible program and is easy to install. Allows switches to send Space, Enter, Tab, Esc, Backspace, up arrow, down arrow, left arrow, right arrow, 1, 2, 3, 4, 0 and click.